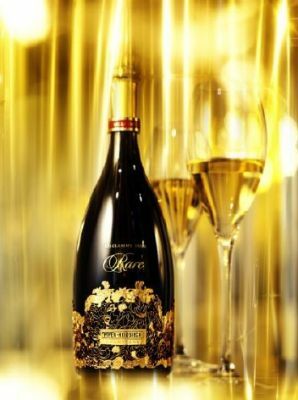 Our ultimate fizz comes under the brand Rare, which is the prestige cuvée from the house of Piper-Heidsieck. Of the many fine options available to the high-spending Champagne lover, this is a name that consistently delivers greatness, and hence, our best fizz of 2018 comprises not one, but two expressions, in different formats. For the most exceptional experience on the market today, opt for the Rare 1998, which comes only in magnums. If you can afford this bigger bottle size (£375), then, in my view, there is no better Champagne on the shelves of retailers right now. As I’ve commented on this website before, a magnum of Rare 1998 offers an intriguing sensation of a Champagne that’s evolving, but still zesty and youthful; a fizz that’s broad and creamy, as well as tight and cleansing. And while it has the golden appearance of a developed Champagne, it doesn’t exhibit oxidative bruised apple characters that often plague fizz of such an age. However, if you only want a bottle, then you won’t be disappointed by the current offer in this standard format from the Piper prestige cuvée. With Rare 2002 being the present release, you can buy a taste of this stunning vintage with all the delicious hallmarks of this house – and by that, I mean roasted coffee aromas and flavours of ripe yellow fruit, cream and toast complemented by a lemon-zest lift. Of course, if you really want the ultimate Champagne experience, then buy both, and indulge in a very Rare comparison.